I wrote a piece in January on natural deodorants and I'm back with more! 1. First of all, for the first few months of the year I used Weleda Wild Rose deodorant religiously (which wasn't in the original post but I ordered it and fell in love!). I'm a sucker for anything rose scented - especially in the colder months when I love to fully embody my grandmother-self. The scent: Floral and a little bit perfume-y, the mix of essential oils keeps odors at bay much better that the Burt's Bees I was using last year. It doesn't smell herbal or kitchen-y, it smells like a powdery rose. The application: I think that maybe it has to do with the glass versus metal bottle but the spray is also a lot less jilting and cold in the morning, so overall I really, really enjoyed using it. It is worth mentioning however, that I typically have to wait a few seconds for it to dry before putting on a shirt - which isn't a problem for me but it is a spray, so keep in mind there will be some initial wetness to consider. The scent: I ended up going for the Bergamot & Lime scent over the Rose & Vanilla, although if I'd found it I might've gone for the fragrance-free. I felt the Rose was a little too sweet for the warm months and the lime seemed fresher and cleaner? Somehow? The smell does not linger at all throughout the day anyway, so it didn't matter in the end. BO-wise however, it did better at covering any unpleasant odors than the Weleda. The application: This is a totally different ballpark than the spray application of the 2 products aforementioned. Schmidt's has 2 formulations, a little pot for hand-application and a more traditional tube - which is what I chose. It glides on quite smoothly and leaves no trace but its scent. There is some graininess to it but nothing painful or uncomfortable. Although this formulation does not have the drying time involved in a spray, the product itself got quite messy because of the softness of the product and ended up spilling out onto the tube which prevented me from being able to put the lid on properly. Not a deal-breaker but again, something to consider. Overall I think that I preferred the Weleda spray and would definitely buy it over the Schmidt's in the future. However, if you don't have the time to wait between putting on deodorant and putting on your shirt, a dry / stick formula is probably better for you overall. 3. Hale Boyd talked about this Veriditas Botanicals essential oil deodorant on her Insta-stories. I don't know if it can be purchased online but the website has a store locator tab - it is available at Erewhon if you live in LA. It looks promising, and a bit like a combination of the direct application format but with a liquid formulation. I'll include updates on this in my next skincare post if I go for it, although it's $17 for tiny tube (!!!) so I'll probably try something else. It's pretty incredible the way that online communities can help us to decide if a product we've been contemplating will work out for us, or even help in finding new brands and formulations that we've never seen before. It's such a direct yet wide-reaching sort of word-of-mouth distribution of product recommendations - if that makes sense. An Instagram story, a blog post, a snapchat. It's like having a friend recommend something to you, and I find that really rad. (Some blogs I look towards for product recommendations pretty often are Always Judging / Courtney Trop and Deliciously Ella's old but still great natural beauty posts). If you're looking for more in depth product trials / reviews though, there's a website literally called Reviews.com with a ton of different product types and brands reviewed per post for comparison purposes. 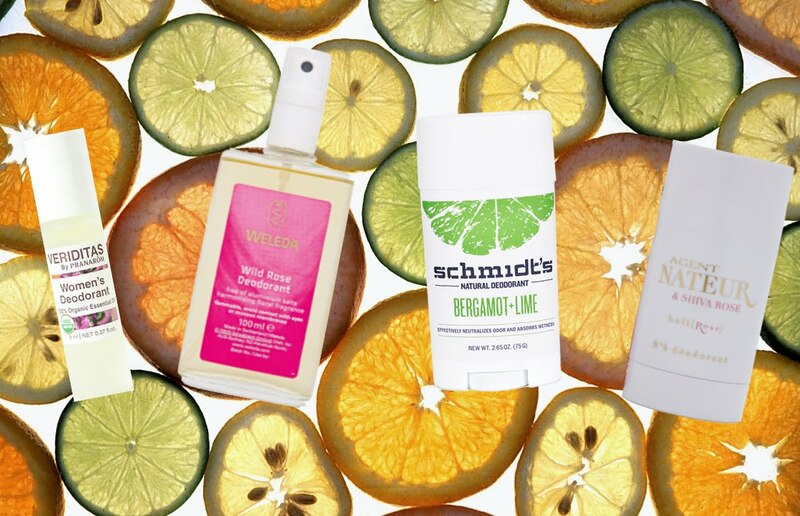 Here's the one on natural deodorants that I looked at - it includes Schmidt's and the Agent Nateur I mentioned in my last post as well (which I haven't yet tried because the Weleda was more affordable but which apparently is worth the hype).